Don’t neglect wounds and sores. 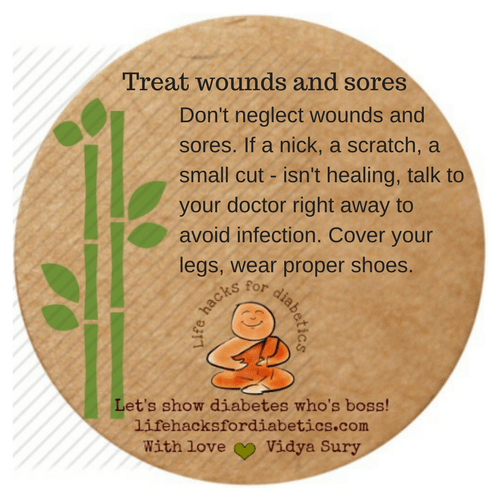 If a nick, a scratch, a small cut – isn’t healing, talk to your doctor right away to avoid infection. Cover your legs, wear proper shoes.